And that’s the way it should be. If we didn’t shop with both eyes open, we’d all be nothing more than a bunch of suckers. The trouble is, when somebody like you is offering a product of true quality and solid benefits, easily worth the price you’re asking, you still have to deal with that same healthy skepticism. Therefore, you have to overcome natural resistance to buy. The more you do to put prospects at ease, the more they will buy from you. The primary way to eliminate this perceived risk is to reverse that risk onto yourself. That most often means an unconditional money-back guarantee. You get the product back and the customer gets their money back – that’s it! Of course, you also need to really sell the guarantee and make the customer know for certain that they are risking nothing by doing business with you. There are other ways to reduce resistance to buying. One of the best is delaying payment – letting the customer buy now and pay later. You’ve probably seen some furniture sellers and computer stores offering deals like this: “No payments and no interest for 6 months!” You may not want to go that far, but it certainly works to stimulate sales. 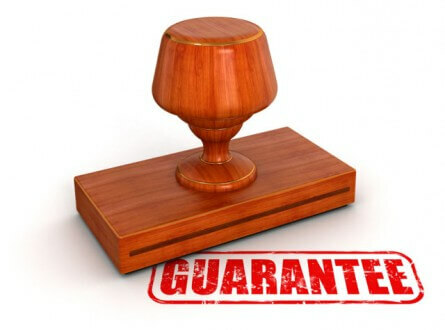 A stronger guarantee is to offer the product on a validation guarantee. In other words, they only pay if it does what you say it will do. Still another way to reduce buying resistance is to make buying easier for the customer by offering multiple payment methods. Credit cards, payment plans, no money down, paypal, personal check, cash – the more ways you let them buy, and the easier you make it, the more ways they will. One of the very best forms of guarantee is the ‘Better Than Money Back” or “Better Than Risk Free”. This works by not only offering the customer their money back but also they get to keep any bonuses or ‘freebies’ that were offered with the product or service. These bonuses should be low cost to you but high perceived value to the customer. So, when initially making the offer, you should also articulate the value of the bonuses, i.e. ‘When you buy this product you’ll also get these bonuses worth over $130 and even if you decide to get your money back you’ll still be $130 better off just for trying our product’. A lot of businesspeople just don’t like the idea of a “no questions asked” or “better than risk free” money back guarantee. It scares them. They think they’ll be taken advantage of by unscrupulous buyers, and yes, it does happen. But the bottom line is this: Your sales will increase so dramatically when you offer surprisingly risk-free buying options and your profits will more than cover that small percentage of sales that obligate you to honor your refund offer. Also, when you treat customers right, they will come back to you again and again, even if they initially ask for a return. They’ll know you’re an honest dealer and you stand by your product and by your word. That kind of reputation spreads fast, and that means lots of positive word-of-mouth advertising which brings lot of new customer referrals. Also, if you are offering true quality and are delivering on what your advertising promises, your return rates will be small. So sell quality and reverse the risk back it up with an iron-clad guarantee. It works.